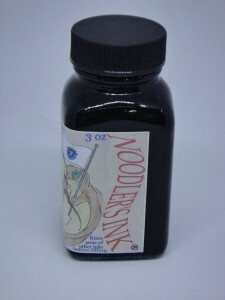 Noodler's Bay State Blue 3 Oz. 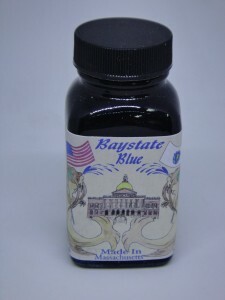 Always rinse pen thoroughly (to remove prior inks) with tap water before filling with "Baystate" inks. 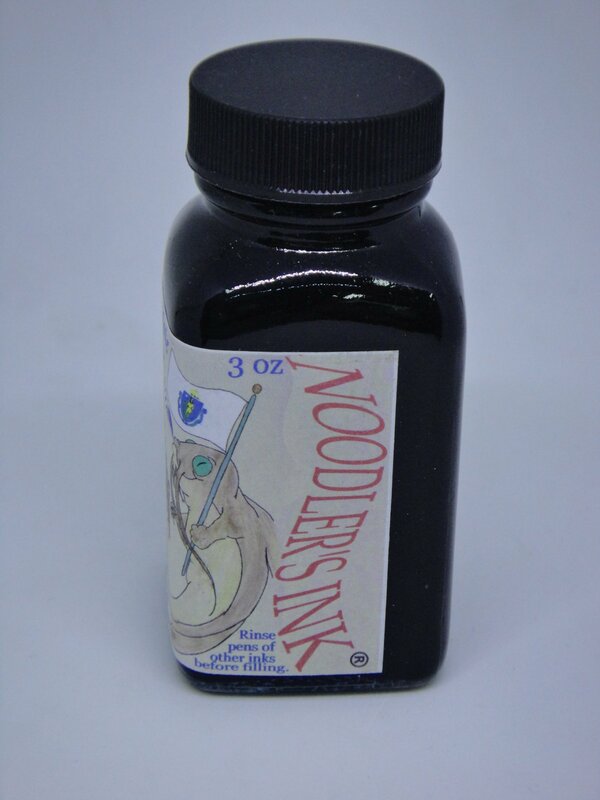 Pen nib should be clean and have tines open wide enough to see a ray of light pass through the nib when dry. Baystate inks are vulnerable to bleaches and can sometimes be removed even from white cotton using bleach. 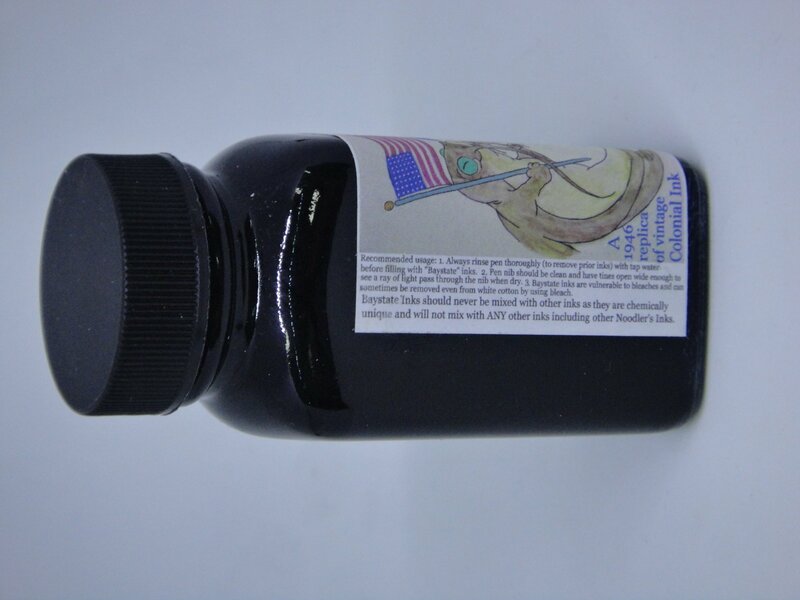 Baystate Inks should never be mixed with other inks as they are chemically unique and will not mix with ANY other inks including other Noodler's Inks.